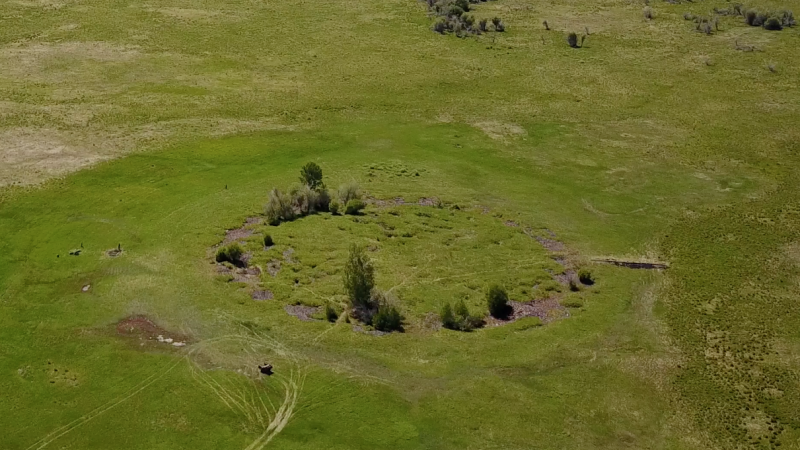 Deep in a swamp in the Russian republic of Tuva, SNSF-funded archaeologist Gino Caspari has discovered an undisturbed Scythian burial mound. All the evidence suggests that this is not only the largest Scythian princely tomb in South Siberia, but also the earliest . Working with a Swiss-Russian team, Caspari was able to prove that the burial mound – referred to as Tunnug 1 (or Arzhan 0) – was similar in construction to the kurgan Arzhan 1 located only ten kilometres away to the northeast. Arzhan 1 had long been regarded as the earliest Scythian princely tomb in the region, which is also known as the “Siberian Valley of Kings” owing to the numerous kurgans found there. The earliest princely tombs consist of a stone packing with a circular arrangement of chambers. The walls of the chambers are made of larch logs. Scythian burial objects typically include weapons, horse’s harnesses and objects decorated in the so-called animal style. Wooden beams found by Caspari during the test excavation date back to the 9th century BC, predating Arzhan 1, which was built at the turn of the 9th to the 8th century BC and excavated in the 1970s. “We have a great opportunity here,” says a delighted Caspari, commenting on the results of the trial dig published in the current issue of Archaeological Research in Asia (*). “Archaeological methods have become considerably more sophisticated since the 1970s. Today we have completely different ways of examining material to find out more about the transition from the Late Bronze Age to the Iron Age,” remarks the SNSF-funded researcher. He also stresses that the way we look at prehistoric times is changing radically thanks to genetics, isotope analysis and geophysical methods as well as developments in geographic information systems and remote sensing. The Arzhan 0 burial mound is in an inaccessible location amid swampy terrain, which also makes it harder for grave robbers to reach. “The kurgan is five arduous hours by off-road vehicle from the nearest settlement,” Caspari points out. As it may never have been disturbed, it could contain similar treasures to Arzhan 2. Between 2001 and 2004, a German team of archaeologists discovered an undisturbed burial chamber in Arzhan 2 containing the richest collection of burial artefacts ever found in the Eurasian steppe. Over a thousand gold objects had been placed with the two corpses in the tomb’s main chamber, in addition to magnificently adorned weapons, pots and horses with exquisite harnesses. Made of solid gold, the necklace of the Scythian prince from Arzhan 2 weighs 2 kilos alone. But the date of the burial is put at the 7th century BC, i.e. well into the Iron Age. The climatic characteristics of the Siberian soil add to Caspari’s hopes. In the Uyuk Valley, the permafrost layer largely begins just a few metres below the surface. Everything above that thaws in summer, and organic material rots. However, beneath the thick stone packing of the kurgans, the rays of sunlight are unable to thaw out the soil. When renowned University of Toronto (U of T) geophysicist J. Tuzo Wilson cemented concepts in the emerging field of plate tectonics in the 1960s, he revolutionized the study of Earth’s physical characteristics and behaviours. Decades later, successor researchers at U of T and Istanbul Technical University have determined that a series of volcanoes and a mountain plateau across central Turkey formed not solely by the collision of tectonic plates, but instead by a massive drip and then detachment of the lower tectonic plate beneath Earth’s surface. 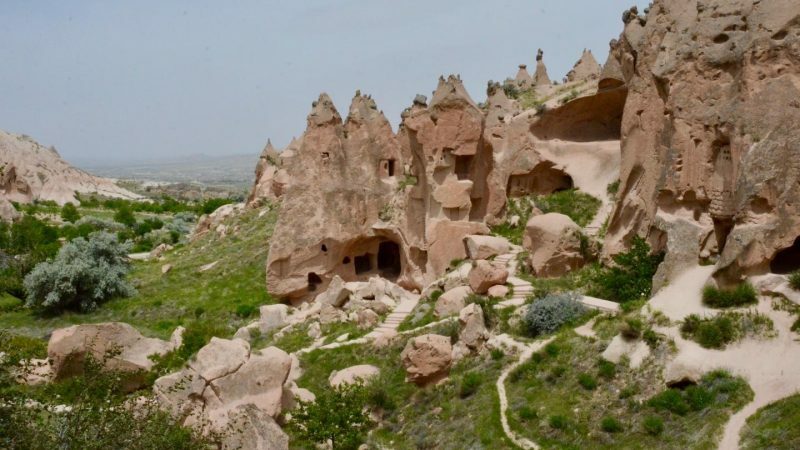 The researchers propose that the reason the Central Anatolian (Turkish) Plateau has risen by as much as one kilometre over the past 10 million years is because the planet’s crust and upper mantle – the lithosphere – has thickened and dripped below the region. As the lithosphere sank into the lower mantle, it first formed a basin at the surface, which later sprang up when the weight below broke off and sank further into the deeper depths of the mantle. “It seems the heavy base of the tectonic plate has ‘dripped’ off into the mantle, leaving a massive gap in the plate beneath Central Anatolia. Essentially, by dropping this dense lithospheric anchor, there has been an upward bobbing of the entire land mass across hundreds of kilometres,” said Professor Oğuz H. Göğüş of the Eurasia Institute of Earth Sciences at Istanbul Technical University (ITU), lead author of a study reporting the findings published in Nature Communications this month. It’s a new idea where plate shortening initially squeezed and folded a mountain belt, triggering the thickening and dripping of the deep lithosphere, and then increasing the elevation of most of central Turkey. Puzzled by the presence of such a process at a significant distance away from regular plate tectonic boundaries, the research team set about identifying why, in an area of high heating and high elevation, is the lithosphere below completely gone – something that was recently discovered from seismology. “It’s a new variation on the fundamental concepts of plate tectonics,” said Professor Russell Pysklywec, chair of the Department of Earth Sciences at U of T and one of the study’s coauthors. “It gives us some insight into the connection between the slow circulation of near-solid rock in Earth’s mantle caused by convection currents carrying heat upwards from the planet’s interior, and observed active plate tectonics at the surface. Pysklywec carried out the study with Göğüş, who received his PhD from U of T in 2010, and fellow researchers at ITU including Professor A. M. C. Şengör, and Erkan Gün of the Eurasia Institute of Earth Sciences at Istanbul Technical Institute. Gün is also now a current graduate student at U of T, supervised by Pysklywec. The research adds to decades of groundbreaking work in plate tectonics at U of T, and builds on Wilson’s seminal work. Bronze Age graves have been unearthed ahead of planned road construction in Melhus municipality in mid-Norway. These are some of the oldest burial sites ever discovered in the region. Bronze Age graves are rare in Norway. 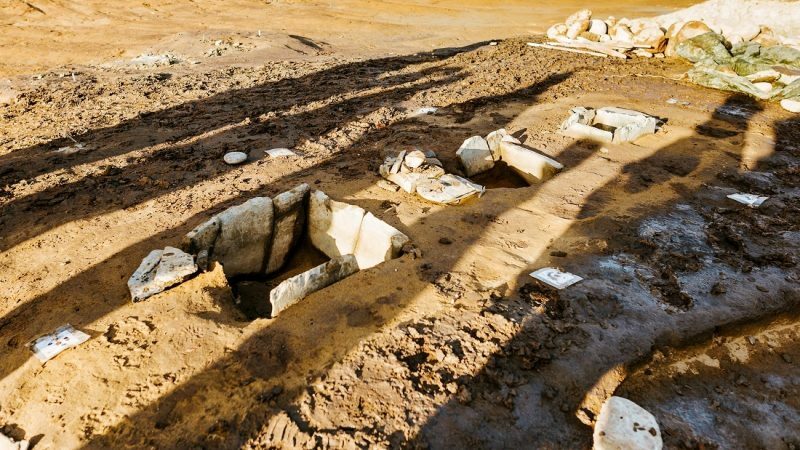 Now 3000-year-old graves in good condition have been discovered in Trøndelag county. 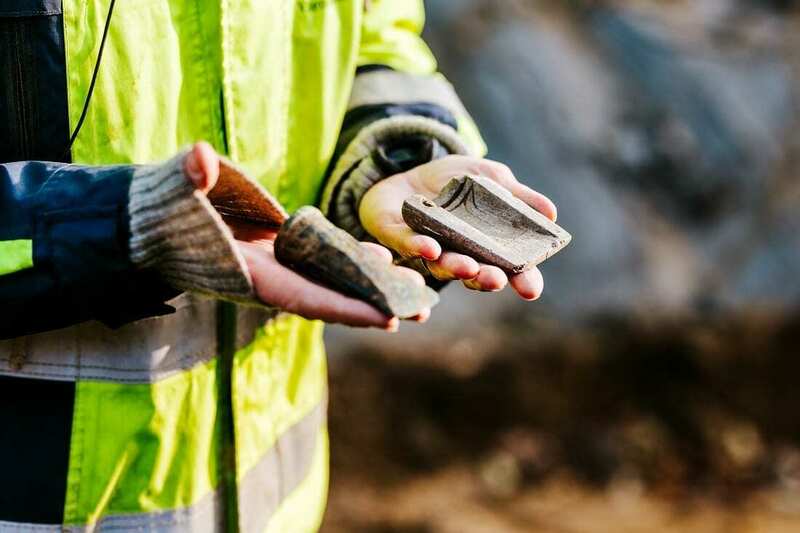 Archaeologists from the Norwegian University of Science and Technology’s (NTNU) University Museum made the gravesite discovery at Sandbrauta in Melhus municipality. They’re working on the site in connection with the planned construction of the new E6 highway between the towns of Melhus and Ulsberg. “We don’t often make a find like this,” says Project Manager Merete Moe Henriksen at the NTNU University Museum. Three smaller stone chambers typical of the period lie to the side of a larger stone ring. The stone ring is part of a burial mound that contains numerous graves. Local conditions have preserved the site remarkably well. Up to two metres of clay from a landslide covered the area. This mass of earth provides traces of a mudslide that may have taken place already in prehistoric times, perhaps just after people were laid in the graves. The clay settled like a lid over the graves, sealing the site and keeping it in good condition. This is a good farmland, but the ploughing activity hasn’t gone deep enough to disturb anything. That 3000-year-old objects could be buried in his fields came as a big surprise to landower Oddvar Narve Langørgen. “I had no clue that anything like this was here. I couldn’t have dreamt it up, either,” he said. Langørgen says there is good topsoil in the area, which might have offered good growing conditions for people who might have lived here at that time. According to the museum, the find represents an invaluable source of knowledge of the Bronze Age’s burial traditions in central Norway. “We found charcoal and burned bones in the graves,” says project manager Henriksen. The custom seems to have been to burn the dead before they were laid in the graves. The remains may have been placed in some material that decomposed over the course of the 3000 years. 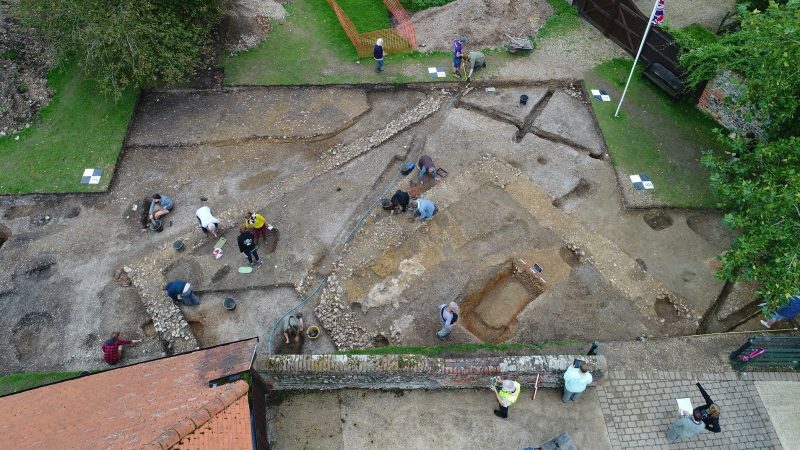 Archaeologists have known that there could be exciting discoveries here since 2014, when they conducted a pre-roadwork investigation in conjunction with the county’s cultural heritage council. They found signs of human activity from earlier times. “It’s incredibly exciting,” said Anne-Lise Bratsberg, who is an advisor and project manager for Nye Veier AS (New Roads Ltd), which is responsible for planning, construction, operation and maintenance of major highways in Norway. She says she feels awestruck by the find of graves that no one has seen in 3000 years. Museum Director Reidar Andersen praises Nye Veier and commends the cooperation between the builders and the museum. Andersen hopes that some of the discoveries from the site will be exhibited at a later date. He believes the potential is great for an exhibit. However, the area will become inexorably changed with the planned roadwork. “Archaeology is a destructive science, after all. We have to dig to make discoveries,” Hanne Bryn says. She is the field leader for the excavations at Sandbrauta. The way Bryn sees it is that no one has known about this place for the past 3000 years. Now they can at least map a site that contains valuable scientific finds. Close to the big burial mound, the museum found part of a rock slab with indented figures, shaped like bowl depressions and a foot. These are motifs that have been found on other rock carvings from this time, but the foot figure is distinct because, unlike most others, it is portrayed with toes rather than as a foot with a shoe on. The archaeologists believe that the slab may have been part of a burial chamber in the mound. So far, no finds have been made that would confirm the presence of a settlement at the site. Postholes could indicate this, but might also have been part of a structure connected to the graveyard. A casting mould for bronze axe heads was found on the same site. The mould might have been deposited as grave goods, but might also show that casting of bronze objects took place in the region. 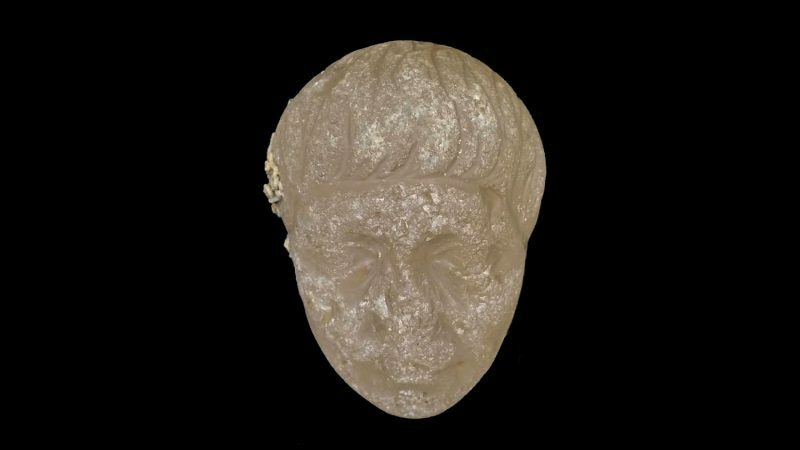 The mould may have been used to cast axe heads of the same type as were discovered at Hegra in Stjørdal municipality earlier this year. It’s conceivable that contact between Stjørdal and Melhus – 40 kilometres apart as the crow flies – might have existed in prehistoric times. Both the carvings on the rock and on the mould suggest that the gravesite was probably used in the Late Nordic Bronze Age, between 1100 and 500 BCE. This dating makes it the oldest burial site discovered to date in Melhus municipality, and also one of the oldest in central Norway. Several other interesting finds have been made nearby. The information from the dig, combined with previous finds, allows archaeologists to form a picture of a region where people lived, worked and died over a long period of time. An international group of scientists, with the participation of the University of Granada (UGR), has shed new light on the origin of gold, one of the most intriguing mysteries for Mankind since ancient times and which even today doesn’t have an answer that convinces the scientific community. Their work, which has been recently published in the renowned Nature Communications journal, has established that the gold came to the Earth’s surface from the deepest regions of our planet. Thus, the Earth’s set of internal movements would have favored the ascent and concentration of the precious metal. The researchers have found evidence of said process in the Argentinean Patagonia, which in addition represents the first register of gold found under the South American continent, specifically at a depth of 70 kilometers. The researchers belong to various universities from Chile, Australia and France, and among them there’s also José María González Jiménez, a Ramón y Cajal researcher from the Department of Mineralogy and Petrology at the University of Granada. The UGR researcher reminds that the interior of the Earth is divided into three large layers: crust, mantle and core. “The minerals we extract and which support our economy are located in the crust. And, although we are experts in taking advantage of them, we still know very little about their true origin. The search for gold has motivated migrations, expeditions and even wars, but its origin is one of the main questions in the field of mineral deposits genesis”. The mantle is the layer separating the nucleus from the crust in which we all live, and its upper limit is located at about 17 kilometers under the oceans and 70 kilometers under the continents. “This distance is unreachable for Mankind, since we don’t possess the means for reaching the mantle and thus knowing more about it in a direct way yet”, the UGR researcher notes. Nevertheless, the mantle can reach us thanks to volcanic eruptions, which bring with them small fragments, or ‘xenoliths’, from the mantle under the continents to the surface. Those rare xenoliths are the ones that have been studied in this research. In them, the researchers have found tiny native gold particles, whose thickness is that of a human hair and whose origin is the deep mantle. The focus of the research has been the region of the Deseado Massif at the Argentinean Patagonia, one of the largest auriferous provinces in the whole planet and whose gold mines are still being exploited. 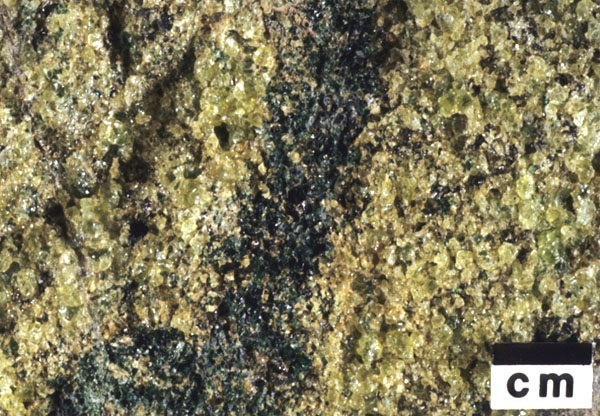 Since the concentration of gold at that spot in the crust is very high the researchers have been able to figure out why mineral deposits are limited to some specific regions of the planet. Their hypothesis is that the mantle under that region is unique: it has a tendency to generate gold deposits on the surface due to its history. “Said history dates back 200 million years, when Africa and South America were part of the same continent -González Jiménez says-. Their separation was caused, among other factors, by the ascent of a ‘mantle plume’ from the deep mantle, which broke the crust (much thiner and fragile) and caused the separation of the two continents. The ascent of said deep mantle plume generated a true chemical factory that enriched the mantle with metals, which would later generate the conditions for the creation of gold deposits. This time the process was caused by the movement of a tectonic plate under another, allowing the circulation of metal-rich fluids through the cracks, which precipitated the metals and concentrated them near the surface”. The findings of the research team shed new light on the formation of mineral deposits, which are generally attributed to an origin in the crust itself, without taking into account the role of a deeper root from the mantle. This new scientific evidence could contribute to a more advanced exploration of deposits that takes into account not only surface images or ‘radiographies’ of the crust for their search, but also studies the depths of the mantle, a region where the origin of one of the metals that has allured our species the most could be traced to.